For the second time this year, the state’s largest teachers’ union has thrown its support behind a prominent Republican candidate. On Wednesday, the Idaho Education Association endorsed U.S. Rep. Mike Simpson in the Nov. 6 election. In announcing the endorsement, the IEA touted the 20-year incumbent’s work on the House Appropriations Committee. “Congressman Simpson has continuously stepped up, year after year, as an advocate for rural schools in Idaho, most notably this year in supporting the restoration of funding for the Secure Rural Schools Act,” IEA President Kari Overall said in a news release. The Secure Rural Schools Act provides federal funding for schools in timber country. 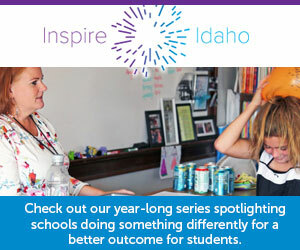 Historically, much of Idaho’s share has gone to schools in the Panhandle and north-central North Idaho — schools that sit outside Simpson’s 2nd Congressional District. Simpson will face Boise Democrat Aaron Swisher in the general election. The IEA and its Political Action Committee for Education generally supports Democratic candidates, but not exclusively. PACE contributed $5,000 to Lt. Gov. Brad Little on May 14, the day before Little won the GOP’s fiercely contested gubernatorial primary. The group has not contributed money to a Democratic gubernatorial candidate in 2018, according to financial disclosure reports filed before and shortly after the primaries. PACE also sent donations to two incumbent Republican lawmakers, Reps. Paul Amador of Coeur d’Alene and Jarom Wagoner of Caldwell. The IEA has endorsed Democratic state superintendent candidate Cindy Wilson, and PACE has contributed to her campaign. The union says budget cuts could eliminate 11 teaching jobs from the Mountain View School District’s faculty of about 90 full- and part-time staffers.